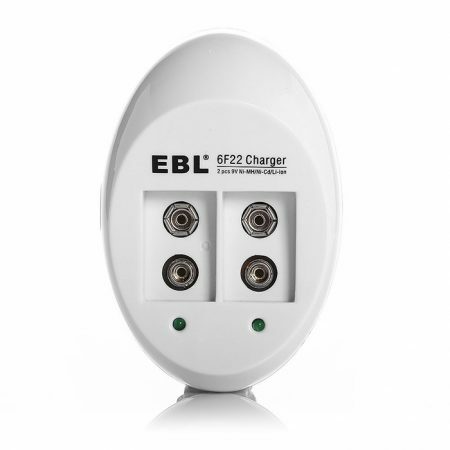 This EBL rechargeable battery charger is an intelligent charger for Lithium ion rechargeable batteries. 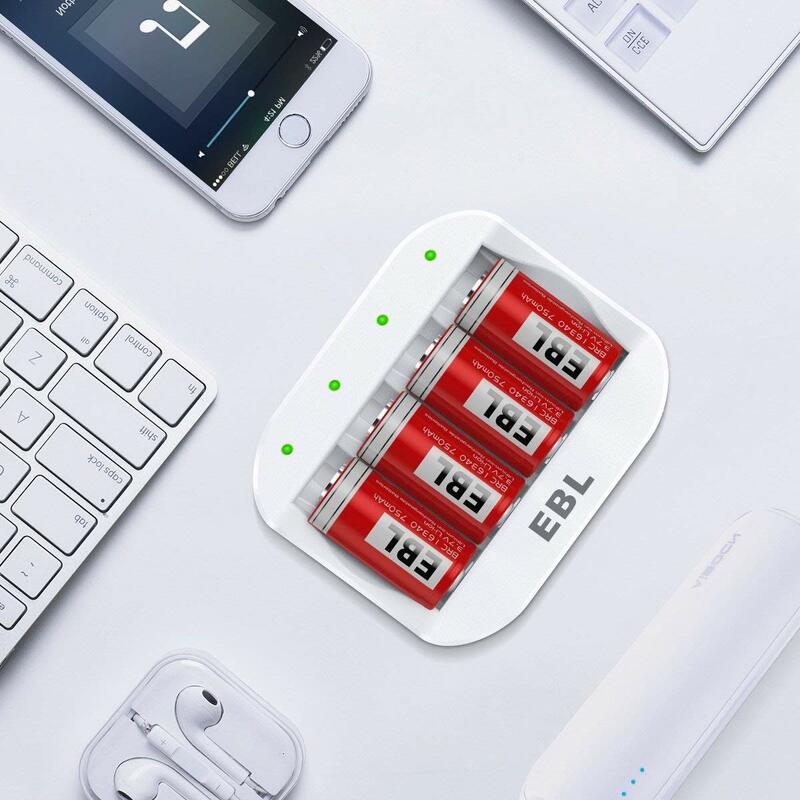 The smart charger has 4 independent charging channels which allow you to charge 1 to 4 pieces of rechargeable batteries simultaneously. 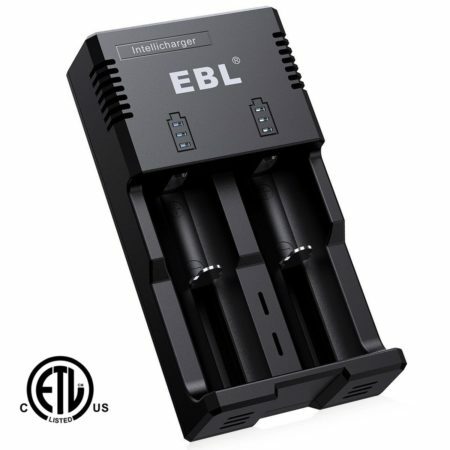 The Lithium-ion individual battery charger is fully compatible with 16340/RCR 123A 17335 lithium-ion rechargeable batteries. 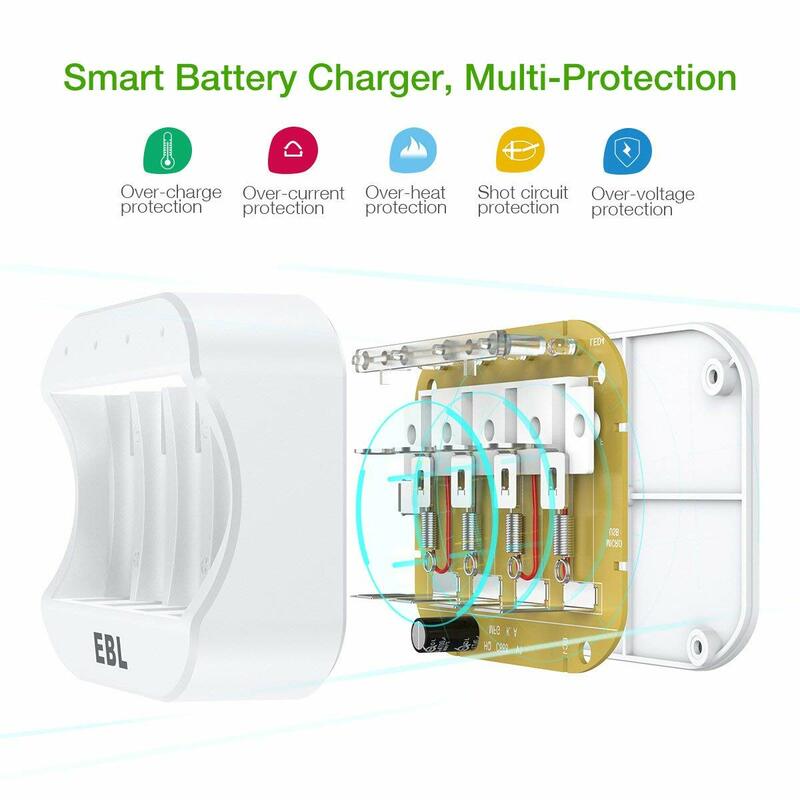 This battery charger uses advanced MCU control system and intelligent △V and -△V cut-off charging method for better charging management. 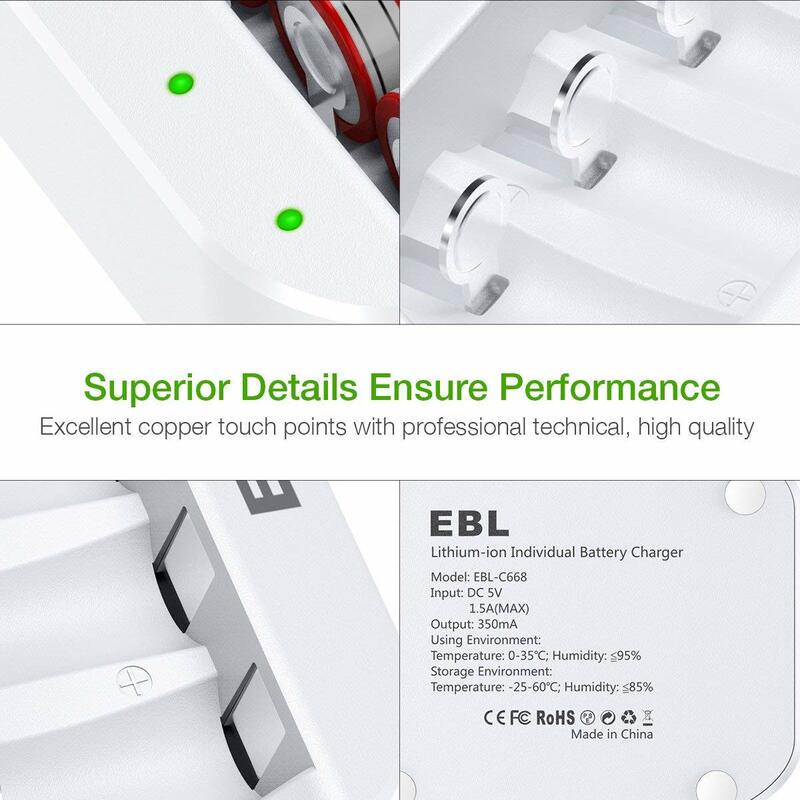 This compact, portable smart charger has 4 small LED indicators to show charging process for each battery. 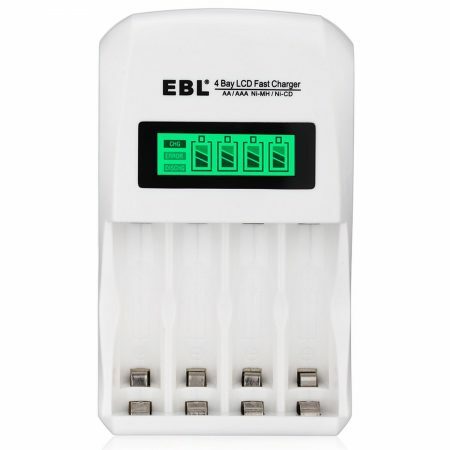 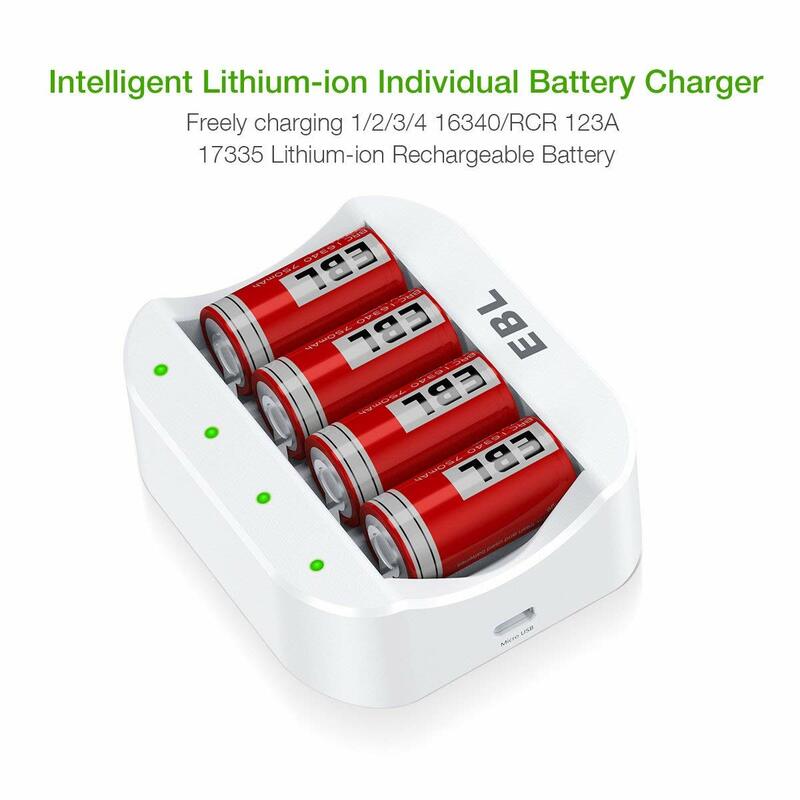 It’s easy to use this EBL smart battery charger. 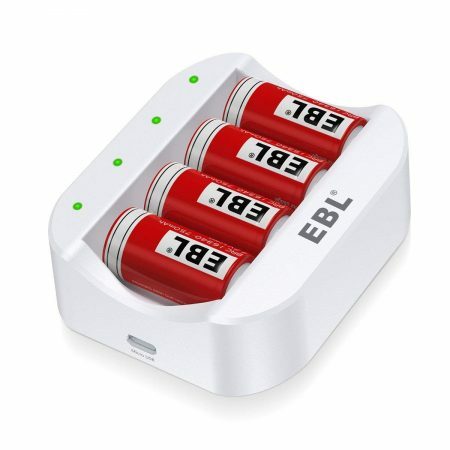 Simply place battery(batteries) into the charging slots. 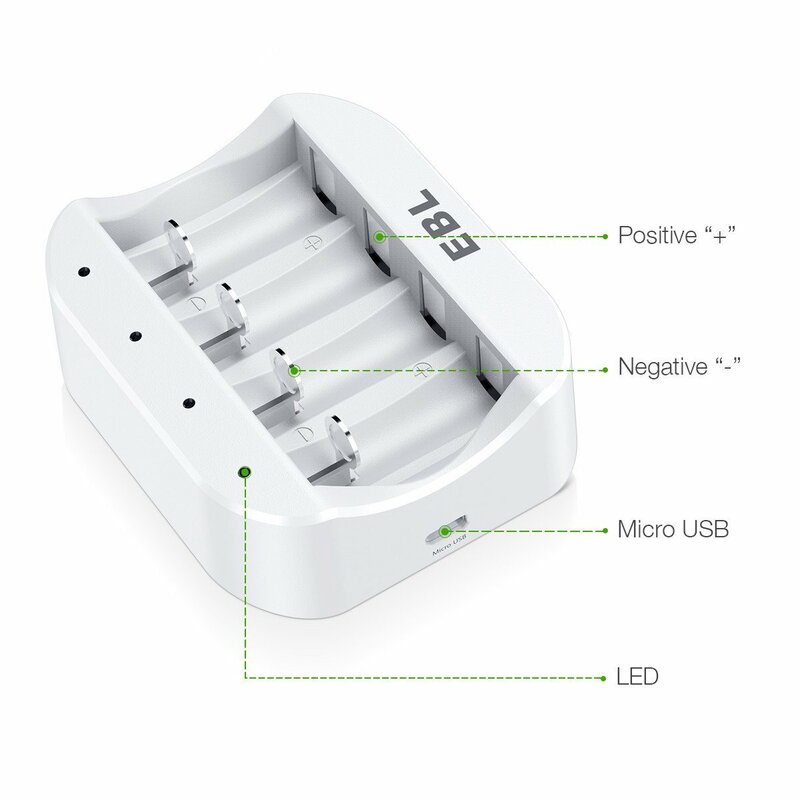 Make sure you put batteries in with correct positive and negative poles. 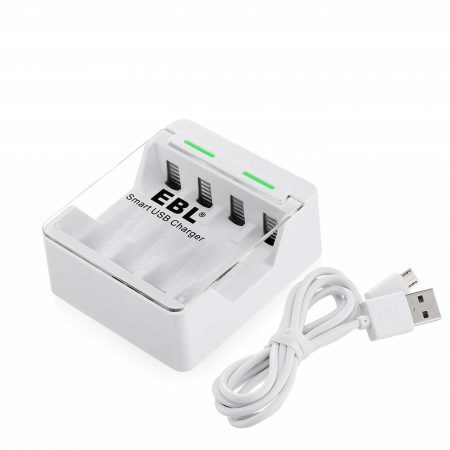 Connect the charger with 5V USB devices, like a power bank, an adapter etc. 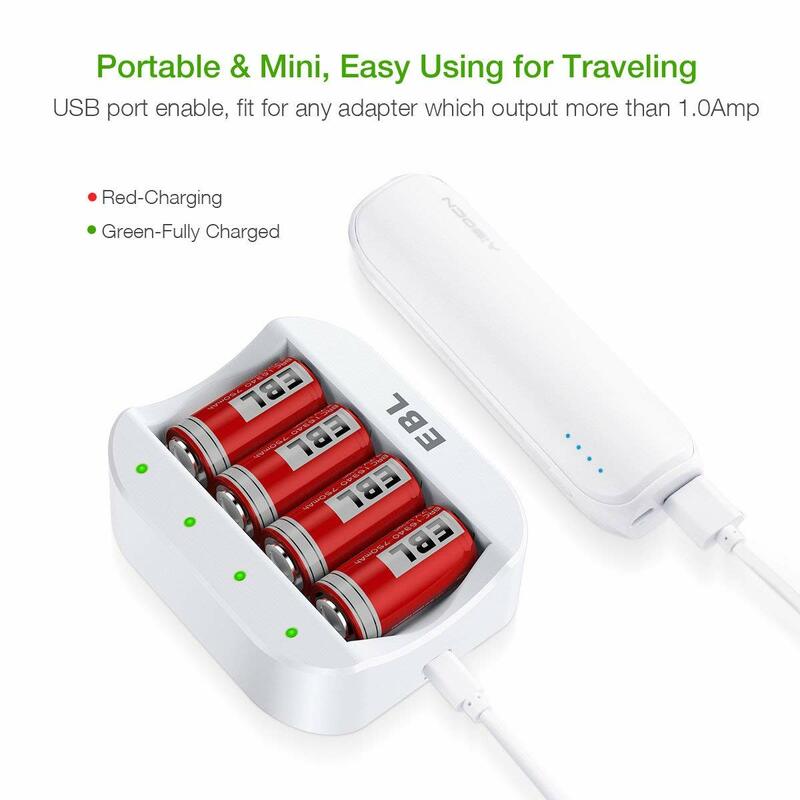 Then the charger begins to charge your batteries. 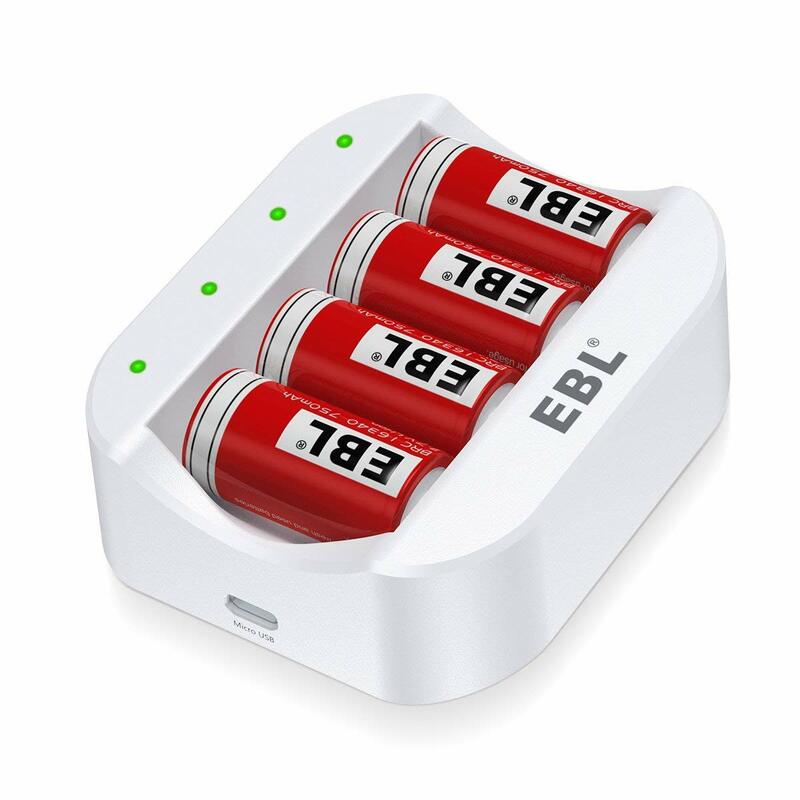 LED indicators show the charging process, red for charging, green means charge is finished.